At SpeechStorm, I had the opportunity to partner with Genesys and work with teams around the world. With the acquisition, I saw the opportunity to supercharge the innovation we started at SpeechStorm and drive into new markets on a truly global scale. Tell us about your role and journey into Marketing Technology. I have lived and breathed Marketing Technology since founding SpeechStorm in 2010. Like sales leaders and marketeers at so many organizations, my challenge at SpeechStorm was not just to attract prospects, but to convert them into real customers in an increasingly complex digital environment and in the face of rapidly changing buyer behavior and increased competition. This meant constantly evaluating both the tactics and the technology we were using to find, engage and interact with prospects and to track, analyze and react in real-time. I continue to do that today to help the startups I advise maximize every opportunity. At Genesys, I have the added opportunity to drive product development specifically to meet the needs of digital sales and marketing buyers. I leverage the very best in omnichannel customer experience and combine it with the latest Machine Learning and Artificial Intelligence to create a truly innovative and effective solution. Best of all, I work with some of the biggest brands around the world and see how our solutions drive improved conversion rates and revenue growth for their businesses. What should customers look for in a customer experience software vendor? One of the things I always look for in a vendor is the ability to scale. Your investment in a customer experience solution is primarily about helping you grow, so you need to be sure the vendors you choose can grow with you. I don’t just mean handling the number of customer records, messages or emails you need now or in the future. Look for vendors who can scale your customer experience across channels, improve your depth of understanding about those journeys, and allow you to personalize those experiences. A vendor should support you not just in acquiring customers, but in serving and retaining them throughout their lifetime. Successful scaling means that your cost to acquire or serve each new customer reduces as you grow. If you find a vendor that can help you do that, you are on the right track. What AI and Machine Learning solutions would you recommend to deliver a world-class customer experience from end-to-end? They operate in real-time. Genesys Predictive Engagement, for example, doesn’t just analyze the behavior of website visitors to profile or retarget them. It engages them at the optimum moment with chat, the offer of a callback or a special offer. They leverage a wide range of data. The power of AI and Machine Learning is such that it can identify correlations and causality that would be far too complex to represent in rules. Genesys Predictive Routing uses both customer and sales representative profile data to find the best matches to drive sales or service performance. They are empowering. Voicebots and chatbots empower customers if they can get the information or responses they need more quickly and easily — but not if they are only aimed at preventing or deflecting human engagement. Similarly, a sales agent assist solution that supports faster training or helps ensure compliance empowers employees to do their jobs better, driving increased value for the business as a whole. Which geographies is Genesys seeing the most traction in for your sales and marketing solutions? What is your forecast about this trend over the next 5 years? Right now, we are seeing lots of interest in North America, Europe, and in Australia-New Zealand, especially in industries including financial services, telecom and retail. These are all highly competitive markets, with well-established players and sophisticated consumers who are increasingly motivated to switch providers based on their experiences as customers. Over the coming years, I imagine we will see the same behavior in other geographies. Customers will be even more motivated by experience as a basis for choosing who to buy from. We have already witnessed a massive shift from in-store and face-to-face selling to online and direct sales models, which is a huge challenge for organizations of all sizes. I’m really excited by the growth of so-called “conversational commerce” as messaging channels such as WhatsApp, Line, Apple Business Chat and Facebook Messenger become the default choice for more of our day-to-day communications. How does Genesys help sales and marketing customers implement integrations they need to succeed? Genesys has always adopted an open approach to integration. This is of special interest to sales and marketing customers for a number of reasons. First, we have included integrations in our products with platforms we know are critical to sales and marketing buyers, such as Salesforce and Marketo. Second, we have an even broader range of integrations developed by our partners and customers, available through our AppFoundry marketplace. Third, Genesys technology is not just a product; it’s a platform with an extensive, powerful API that lets your development team incorporate Genesys capabilities in your own applications. And fourth, Genesys collaborates with our peers in the industry to provide even greater power to our customers. A great example is the recently announced Open Data Initiative, in which we are cooperating with Microsoft, Adobe and SAP to create a common data model for customer data. What do you think about the current state of customer service and sales enablement platforms? One of the things I hear from chief marketing officers is how much time and energy they spend on understanding and managing their Marketing Technology or “MarTech” stacks. In some circles, it has become almost a badge of honor to have a more varied, complex stack. It seems that in the pursuit of agility and the ability to react more quickly to customer demand and changing business needs, sales and marketing organizations find themselves in a state of constant technology flux. This is unsustainable. I think we are going to see some consolidation. Rather than jumping on every shiny new point solution, smart sales and marketing professionals are more carefully curating or “pruning” their MarTech stacks, identifying vendors that are core to simplifying that stack. Another characteristic that sets these marketing and sales professionals apart is their investment in the end-to-end journey and customer experience. Genesys has been a leader in the contact center world with a solution like this for years, and has now extended its solutions to empower sales and marketing professionals to deliver the best end-to-end customer experience. Customer experience defines your brand. It encompasses every customer interaction across all marketing, sales and service touchpoints. With this in mind, it is essential to choose a solution that supports this blend of digital technologies. How does Genesys empower its customers with self-service customer engagement solutions? Genesys has always been at the forefront of customer self-service. From basic Interactive Voice Response (IVR) to personalized online self-service experiences, we aim to provide connected, context-rich interactions, regardless of the channel. Our latest innovations combine the power of AI and Machine Learning with our decades of experience to deliver even more effective self-service customer experiences that include chatbots and voicebots. What are the major challenges you see in the adoption of a new sales and marketing solution? I see two major challenges. First, changing people’s behavior to make use of the new technology. The second challenge is maintaining the integrity of the data moving between different applications. On the people side, I recommend bringing those on the frontline — sales development representatives, account executives and digital campaign managers —into the discussion early. They will be quick to identify practical issues that can have a major bearing on how the new system actually serves your customers, like challenges with usability, moving between systems and reacting to day-to-day demands. On the data side, take some time to map the current flows of data between your systems: what you export from one system and input to another; when you have to copy and paste record from one screen to another, and where data is double-entered. Now, consider how each of these data flows will change when the new system is introduced and only proceed when you are satisfied that the new solution will simplify these flows. What advice do you have for sales and marketing leaders looking to improve ROI with customer engagement software? First, make sure that you know the problem you are trying to solve. For example, ask yourself: Do you need to attract more visitors to your website or convert more of the visitors you have into engaged prospects and buyers? Or, would reducing the number of customers you lose deliver a better return than increasing the number of new customers you attract? Second, ask if the software you are considering is going to simplify or complicate your MarTech stack over the medium- to long-term. “Point” solutions may be very good at addressing individual or specific use cases — driving increased appointments, creating easy-to-use email templates or sending large volumes of SMS messages cheaply. Over time, however, the effort and inefficiencies of moving data between systems and the loss of end-to-end visibility of your customer’s journey may cause you to miss out on more valuable insights — and to lose customers to competitors with a more holistic approach. Third, look to your peers — in other parts of your business, in your industry and around the globe. Your colleagues in the contact center have been managing customer engagement at scale and across multiple channels for many years. Leverage that knowledge and experience — and don’t be afraid to leverage their technology platforms, too. Of course, look at what your competitors have done, but don’t be limited by that. Remember that your customers will not just compare you to other providers in your field; they will set their expectation based on the best customer experiences they have had across all sectors. Fourth and finally, I would say to test early and be laser-focused on the data. Particularly when it comes to AI and Machine Learning solutions, work with vendors who are willing to pilot the new solution with you, support you as you learn and adapt to your needs. How do you keep up with the latest technology trends in customer service, sales, and marketing when it comes to AI and Machine Learning? 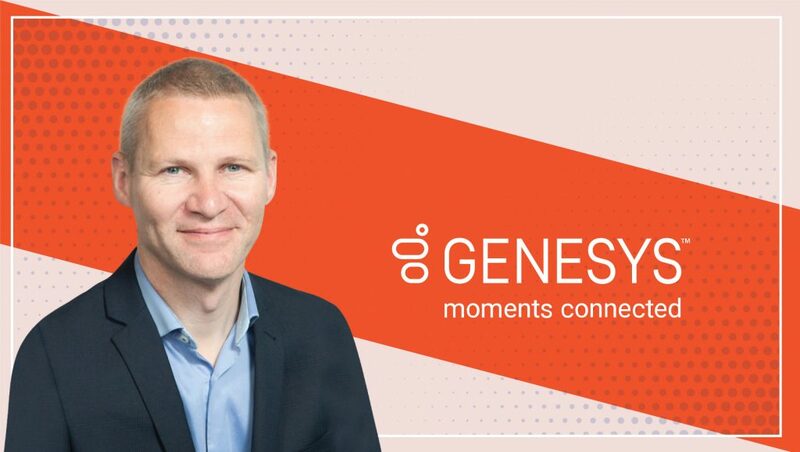 At Genesys, I’m lucky to be surrounded by more than 5,000 professionals who are just as obsessed with customer service, sales and marketing as I am. In addition, I work daily with some of the most talented and knowledgeable AI and Machine Learning teams in the business. I would highly recommend our Xperience 19 conference in Denver, Colorado, from June 10 to 13. At that event, we will share not only our experience, but also that of our customers — including some great global brands at the cutting edge of AI and Machine Learning for marketing, sales and service. Genesys also has a variety of events you can watch on-demand. Increase website conversions with AI and Machine Learning is a webinar you can watch at your convenience to get a first-hand look into how Genesys is transforming sales and marketing processes. Thank you, Damian! Hope to see you back on MarTech Series soon. Damian leads the development of Genesys solutions for digital sales and marketing buyers. Damian joined Genesys in 2015 with the acquisition of SpeechStorm, a specialist provider of personalized interactive voice response (IVR) and service automation software, where he was a founder and vice president of product and marketing. 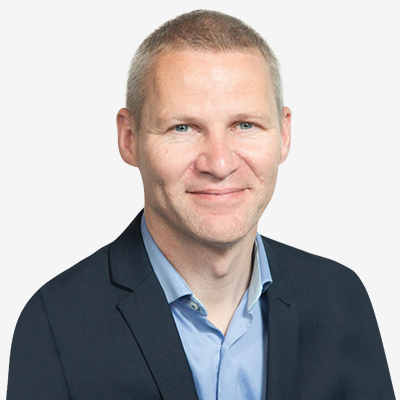 Prior to SpeechStorm, Damian built high-performing technology and business consulting teams at Kainos, ICL and KPMG. Damian also advises early stage startups, helping them get the most out of their marketing technology investments to drive rapid growth and scalable processes. Genesys powers more than 25 billion of the world’s best customer experiences every year. And top-industry analysts agree: Genesys is the only leader in both cloud and on-premises customer experience solutions. Great customer experience drives great business outcomes. More than 11,000 companies in over 100 countries trust Genesys. That’s how they became the industry’s #1 customer experience platform.